The UPM Chudovo plywood mill expansion investment, which started in late 2017, is proceeding on schedule to the production trial run phase. 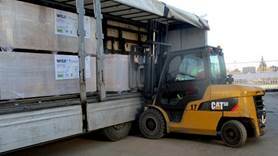 The first deliveries from the new production line are currently on the way to customers in Europe and Africa. The official inauguration will be in early September.